Although it is difficult to imagine now, there was a time when the Baroque style was ubiquitous in Istanbul. Alongside new constructions that announced the arrival of the “Ottoman Baroque” such as the Nuruosmaniye and Laleli mosques, in the second half of the eighteenth century the majority of the earlier sultanic complexes dotting the hills of the imperial capital also underwent extensive renovations and received Baroque interiors. 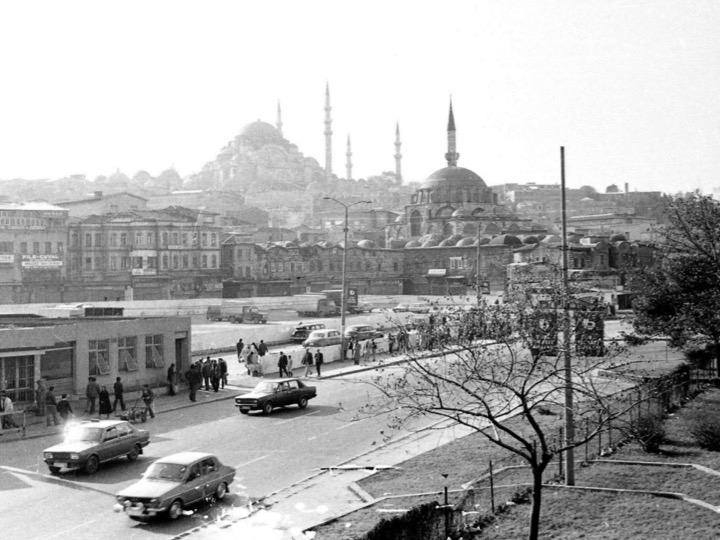 Taking the Süleymaniye and Rüstem Pasha mosque complexes as my primary case studies, in this paper I address both this eighteenth-century moment when renovating earlier monuments became an important form of architectural patronage, as well as mid-twentieth-century Republican Turkey, when there was a subsequent effort to remove these Baroque interventions. Emily Neumeier (PhD, University of Pennsylvania) is an assistant professor of art history at Temple University. Her research concerns the art and architecture of the Islamic world from the early modern period until the present day, with a specialization in the eastern Mediterranean. Recent and forthcoming publications include journal articles on local views of antiquity in Ottoman Greece (International Journal of Islamic Architecture) and the reception of the Ottoman legacy in the post-imperial museum (History & Anthropology). She also serves on the editorial team and is frequent host of the Ottoman History Podcast.